My friend, Sheila (click link to read her Dayre and see her lashes! ), has been going to Dreamlash for a long time and I will always remember how she couldn't stop gushing about how amazing they are from the first moment I asked about her lashes. Many people like to give me pros and cons when I ask about eyelash extensions and they go along the lines of this. As you can see.. the cons just seem so much more.. However, when I asked Sheila about the cons of her extensions.. she couldn't really give me any. She had been going to Dreamlash for ages and never felt that her eyelashes got weaker nor felt uncomfortable. She could swim, wash her face, do everything she would do normally and not suffer any horrid consequences (she would even go hot yoga right after touch ups lol!). And the thing is.. she was the ONLY person who actually seemed to feel that positively about her eyelash extensions.. so.. off to Dreamlash I went. Dreamlash is a high-end Korean Eyelash Extension studio that focuses on creating the perfect lash design for every client using only the single-strand lash technique developed in Korea. Every woman was born with different eye-shape. At Dreamlash, there is no 'one size fits all' lash design, therefore, our lash experts will customised the lash design that is suitable to your eye-shape to achieve the 1:3 golden ratio. 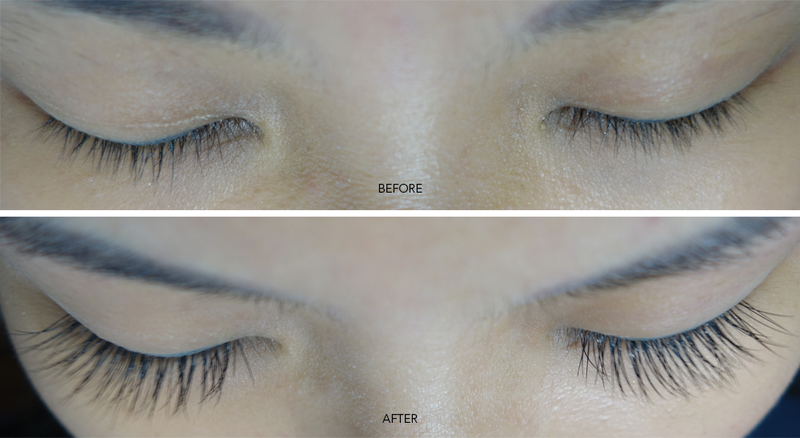 Dreamlash extensions are different from traditional strip lash and clustered lash as every strand of lash is planted with a safe distance from your lash line to allow continual growth of your original lash. This technique not only prevents your original lash from premature dropping, it also ensures you feel absolutely comfortable while having the extensions on. Since Sheila recommended that I ask for Rachel's to do the lashes for me, I was very excited! :) Rachel came highly recommended as she was said to be highly patient, thorough and precise with each eyelash! I couldn't take photos of the process as each business feels better keeping what they do to themselves. It's only natural, but I think a lot of you can get a basic gist from the plethora of eyelash extension posts out there! :) The whole thing took about 1.5 hours for me because of my droopy eyelashes which took awhile longer to curl up! I was kind of asleep through the whole thing, so that should give you an idea as to how comfortable I was! When Rachel was done and I opened my eyes, there was no discomfort from the glue, the eyelashes didn't poke my eyes and they were as weightless as they were promised to be! I was very pleased! ADVICE: I was told not to let my lashes touch hot water (which loosens the the glue) and not let them touch WATER in general for the first three days.I was also told to comb my lashes after every shower to prevent tangling, and to not touch the lashes for 3 hours after getting them done to let the glue set properly. Here is a close up look about 2 weeks after! In case you're wondering, mine is quite thick and I went for the MEDIUM VOLUME (First trial price of $98) - perfect for those who like thicker lashes and want an "eyeliner" effect due to the density. I like how I don't need eyeliner with this anymore, which saves me time and energy! lol. Oh yes, and because I have weird eyelids, the way these eyelashes curl up PUSH my lids up (check out eye on right side!) and create a higher and more defined shape for me! :D This may not happen for everyone, but so far a few friends and I have experienced this effect, so maybe it might for you too. I have to do a touch up in 2 week's time as most newbies to eyelash extensions may not take care of theirs that well and it would be good to return and check that everything is going well! Also, I would highly suggest getting their eyelash serum ($138) so your lashes stay strong and grow longer/thicker during this period of time. In my case of droopy/short lashes, Rachel said the serum would make my existing eyelashes curl upwards more and grow longer! Their FAQ can actually be found on their website, so I'll just write down extra questions you might have that I can give answers to. A: Nope, it does not! They are weightless and feel nothing like fake lashes. No uncomfortable pokes at the side of your eyes or anything. Also, I love how when I opened my eyes, I did NOT feel the glue stinging the way I heard people say it would. Q: Is it hard to wash your face with the extensions on? A: Personally, no. Perhaps because I did an eyebrow embroidery before which required me not to touch my brows for a week and this only required 3 days so I was pretty okay with that. I was actually given a sponge in the care kit after but I didn't really use it - I stuck with my cotton pads instead when it came to makeup removal, and washed my face (just kept my eyes open and washed around my area) normally with my hands. Q: What if I like oil-based makeup removers? Q: Name what annoys you when you first start? Oh when I first started I half-liked half-hated that I could see my lashes in my line of vision somewhat. Like it felt kinda "blurry" on the top half but after awhile I got used to it and didn't care. I also got a little annoyed that strands of my hair would go across my face and rest across my lashes sometimes when the wind blew lol. I'm just being picky. Q: Name what annoys you as you go on? I admit that halfway through, maybe 4 days after, I was so tempted to rip the lashes off lol. My eyes tend to be sensitive so when things get into them I really want to rub but with the lashes I cannot. Eventually, I found my own way of coping which just involved blinking a lot or dabbing at my eyes with a tissue. It's been almost 2 weeks and I'm still surviving strong though, so I think I'm doing pretty well! Q: Any tips to give? Yes. DON"T wash your face in the shower. Not because the lashes will come out but because you can't 100% ensure that the soap won't go in and sting your eyes, So I normally try to wash when I come out of the shower when water doesn't wash soap downwards into my eyes. I would also really suggest combing your lashes whenever you can if not they might get tangled. Q: What if I sleep on my side? That's fine - I sleep on my side too. Best if you don't, to be honest, but hey people like me are set in their ways. And my answer is go ahead hahaha! This is a personal opinion though so don't fault me on it. The first morning after I did my lashes, I got so annoyed with the sunlight through the windows I actually rested a tiny blanket across my eyes to sleep and everything was still A-okay! lol. Q: What if I really need to rub my eyes? Please. Don't. I suggest just taking a tissue at dabbing into your eyes if there is any irritation but rubbing will definitely cause more harm than good. 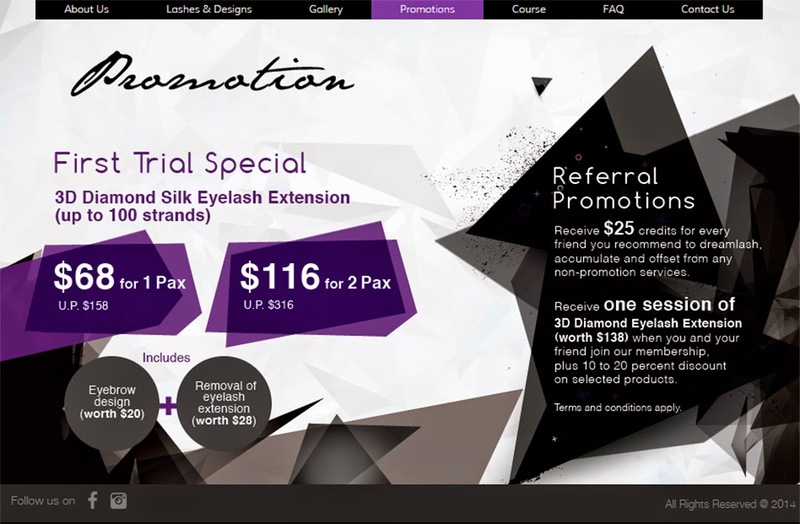 Q: Is the lash serum really necessary? When I get started on something, I like to go all the way and ensure I did my best to handle/take care of it - call it OCD or perfectionism. 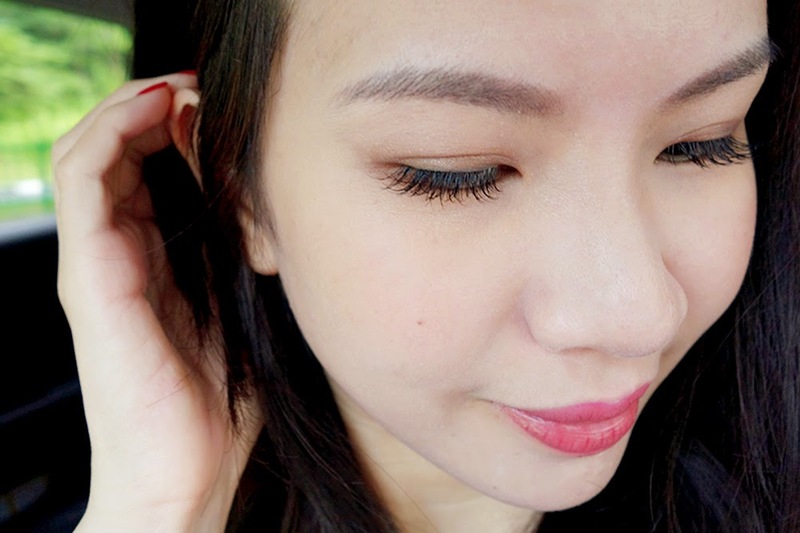 So I think even if I remove my extensions, the serum would continue to take care and lengthen my existing lashes, which works out in the long run too! Sheila told me a few of her lashes dropped out once, and she used the serum which ensured that they grew back in a short amount of time. I suppose you guys must have more questions that I didn't think of, so do leave a comment below if you have more and I will get to them ASAP! I have to admit that you need to be prepared when you look in the mirror the first time after doing your lashes. It's overwhelming. Okay, maybe to me since I don't wear fake lashes or mascara.. but I was really floored haha. I didn't even know what to say for awhile. As I got used to it though, I started liking them more and more. Yes, there are days I feel weird that I look extremely under-dressed but my face looks event ready haha. But then there are also those awesome days where I have events or people to meet and I require so little effort now to look good! Plus, I can now make excuses for my dark rings :p by saying that it's just the shadow cast from my lashes lol! On the whole, really a little bit to get used to at first but a week or so after I think you'll get in the swing of things; plus the price is a small one to pay to look so effortlessly good everyday.